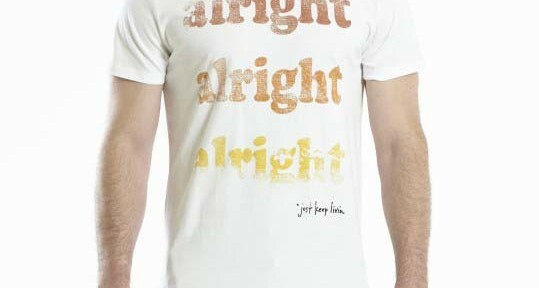 The latest celebrity to produce their own celebrity shirts and clothing line is Matthew McConaughey. 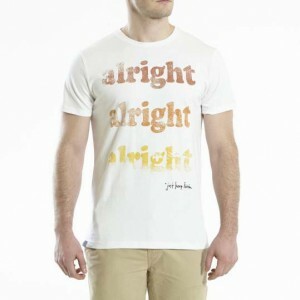 His catchphrase “Alright, Alright, Alright”, which he used in his Oscar acceptance speech recently, has now been incorporated into a line of T-shirts under McConaughey’s Just Keep Livin brand. Just Keep Living is a clothing brand that McConaughey founded and a portion of every sale goes to the Just Keep Livin Foundation which McConaughey also founded. The Just Keep Livin Foundation is a non profit organization which implements after school fitness and wellness programs in inner city high schools.